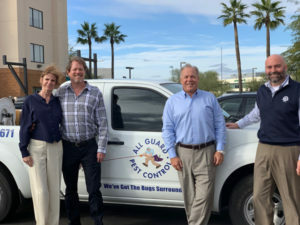 Atlanta, Ga.-based Arrow Exterminators acquired All Guard Pest Control in Chandler, Ariz. This deal expands Arrow’s presence in the South Phoenix and East Valley markets. All Guard employees joined the Arrow team in the metropolitan Phoenix area and operate as Arrow Exterminators.